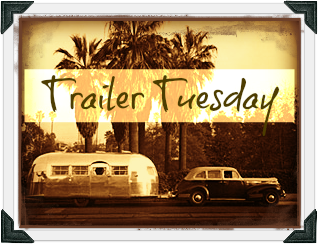 Featuring trailers for the most highly anticipated and buzz-worthy books and movies! Yay!! The extended trailer for the Mortal Instruments: City of Bones movie is out and I can't wait to see the whole thing!! Click through to check out the trailer for Through the Ever Night by Veronica Rossi on sale today! Ummm....yes, please! I can't wait to devour this book! In case you haven't read Destroy Me, the companion novella to Shatter Me by Tehereh Mafi, this trailer might help sway you. Destroy Me (released last December) tells the story from Warner's perspective and is just the thing to tide you over until Unravel Me is released February 5th! Prophesy by Ellen Oh (in stores today) has been getting tons of buzz lately and here's the trailer to add fuel to the fire! "Hello" by tessaROXX combines three of my very favorite things: Harry Potter, parodies and musicals (particularly Book of Mormon!) Tessa plays all of the parts in this parody of the opening song "Hello" from Book Of Mormon redone as the Book of Harry Potter and is hilarious! Slide on over to Steph's Stack You Tube Channel to find more book, movie and TV trailers as well as author interviews, BEA information and hilarious book related clips!